Our clients only stay for one reason, because the money they pay us is the best return on investment that they can make. Our average client gets 5x the value in organic clicks and marketing compared to other styles of online marketing. These numbers are unbeatable. 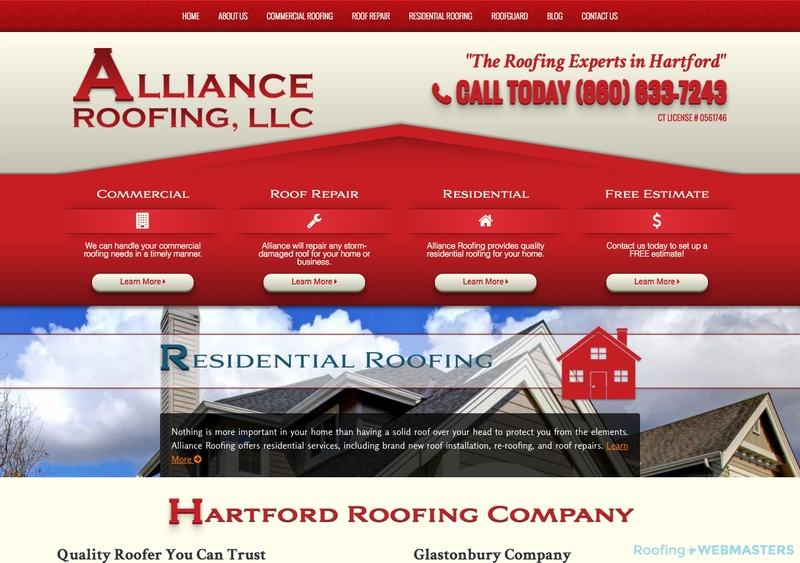 Check out our portfolio of some previous roofing SEO work we have done. Our satisfied clients will tell you why they continue to trust us with their website month after month. Soon you too can join these roofing companies at the top. Remember, our clients show up for dozens to hundreds of keywords in the Top 10 on Google, Yahoo and Bing. This is because they have a superior website that is then tended to regularly by skilled and trained individuals. This superior work is why our clients continue to stay with us. One of our satisfied clients who has had great success is Alliance Roofing. Check out the following rankings of important keywords for this successful roofing company. Because of these great rankings, Alliance Roofing is one of our countless satisfied customers. They continue to work with us month after month and continue to enjoy the benefits of proper SEO work being performed on an ongoing basis. Because our websites are designed to be SEO-friendly, they are able to rank for a wide range of keywords, both on traditional organic results as well as Google Maps results. 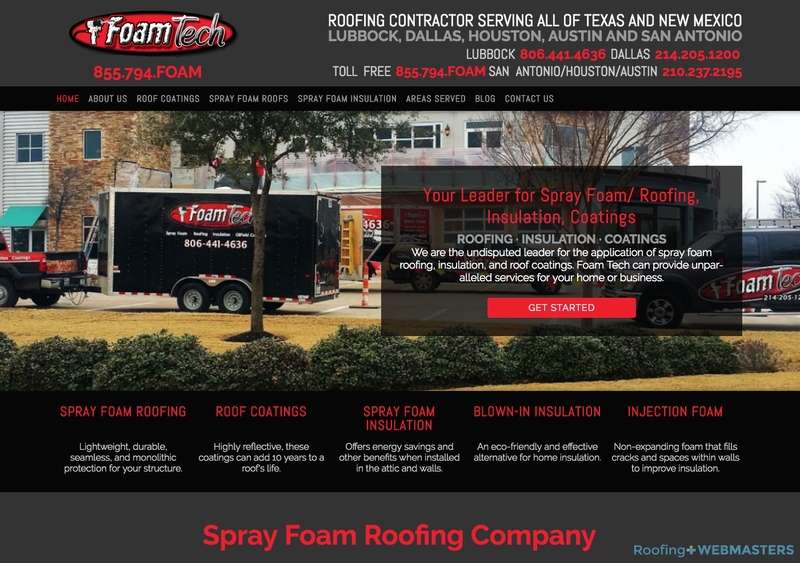 Foam Tech specializes in spray foam insulation roofing services and enjoys traffic from a diverse group of keywords because of it. 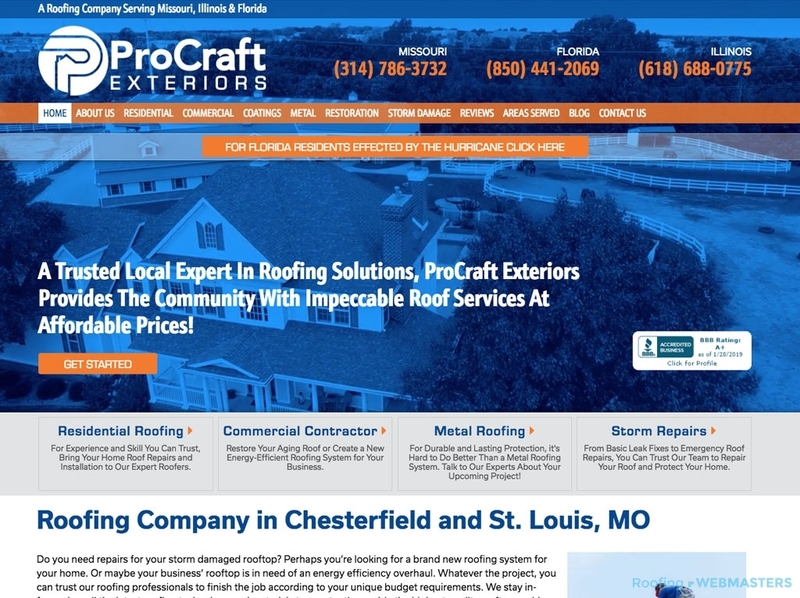 Regardless of what your roofing company’s niche or market is, we will place it in the best position to succeed with the highest quality website. Updated on January 28, 2019 at 10:38 pm by Roofing Webmasters.